Apple has earnings due out on 11-1-2018, after the market closes. As this tech marvel has evolved, it is finally in a state where the market is looking at more than one number - more than one product - more than one item. The iPhone still represents about 60% of revenue and the newest refresh of the line-up has speculation galore with respect to demand. But, we can also now look at Apple Services, the second largest revenue driving segment of the business, on track to be a $50 billion business within a year, and now, all of a suddenly, Apple's "other" category matters. "Other" includes the Apple Watch which has turned into a rather large win, and may in fact over take Mac as the third largest revenue segment by 2020. What once was considered a failure, the Apple Watch has high end estimates for all of 2018 reaching nearly 20 million units. With the release of Apple Watch 4 and a designation that allows it to be used as an EKG device by the FDA, insurers may well jump on this item and make it mandatory for insureds. That could take Watch sales from the 20 million unit range to well over 50 million. And that would give Apple a second knockdown drag out hit for hardware which is also app driven, and therefore helps that all important Services segment. 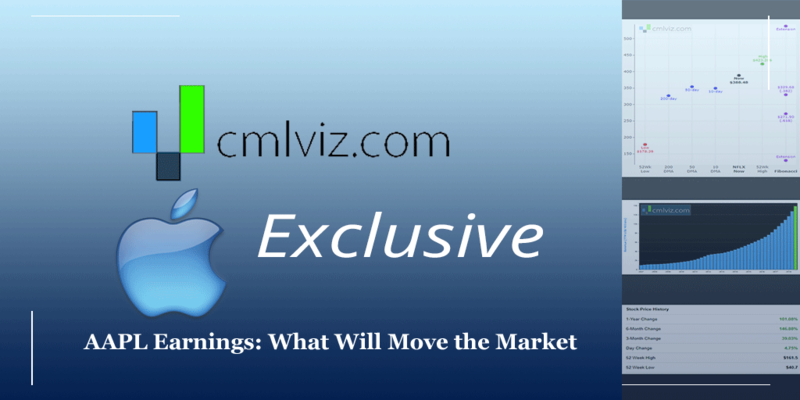 * If AAPL	reports a revenue number above $63.25 billion, that would be ahead of even the highest estimates. * If AAPL	reports an EPS number above $2.88, that would be ahead of even the highest estimates. This quarter to be announced will not include many shopping days for the new iPhone lineup, but we may get guidance. * iPhone estimates are hard to nail down, but suffice it to say that anything over 47 million units would be the 'target' number. But, the average selling price (ASP) is the key. If Apple can maintain its robust ASP gain, then a small gain in iPhone units could spell a large gain in iPhone revenue -- and that's what the market wants to hear. Keep in mind that about a week and half of new iPhone XS sales will be included in the quarter to be reported. Apple ended the prior quarter ending 6-30-2018, with iPhone channel inventories well managed (as in, lower rather than higher). The ASP expectation is $751, which woud be $130 higher than last year and $27 higher than last quarter (which was $724 and already up $118 from that year prior). But, also a part of this equation is the totality that iPhone brings for Apple. This could be a quarter where iPhone is a success and still represents less than 60% of revenue -- which would point to a major boost from Apple Services and that "other" category. A true blowout beat would have iPhone Revenue at $36.7 billion and total revenue at $63.25 billion. As for the all important Services segment, the consensus is for a 20% YoY rise to $10.2 billion. The Watch is a thing now -- and last quarter "other" revenue leaped 37% higher to nearly $3.75 billion. The consensus for this quarter is 29% growth to $4.18 billion. * If AAPL	guides revenue above $	98.54 billion, that would be ahead of even the highest estimates. * If AAPL	guides EPS above $5.24, that would be ahead of even the highest estimates. Expections for the hoiday quarter are for an ASP of $809. With the recent market sell off, we are staring down the barrel of what some could consider a low valuation moment for Apple. Of course, earnings will be the true decider, but with a large beat, there should be considerable upside. * If AAPL	hits the mean estimates for EPS this year, the company trades at a forward PE (for the current fiscal year) of 18.41	. * If AAPL	hits the mean estimates for EPS for next year, the company trades at a forward PE (for the next fiscal year) of	15.84	.